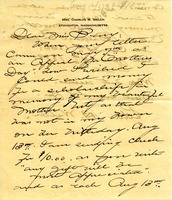 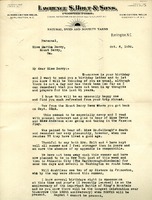 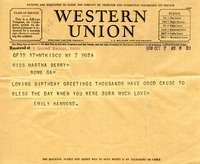 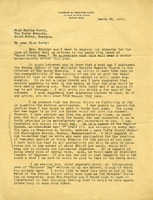 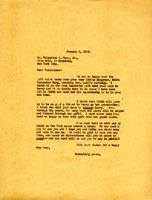 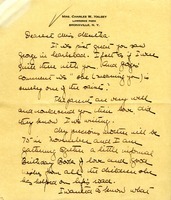 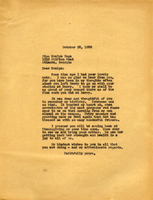 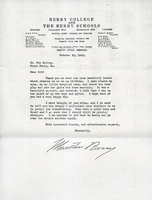 Erwin Holt wrote this letter to Miss Berry the day before her birthday. 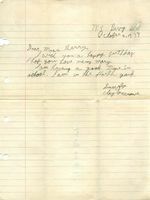 In it, he wishes her a happy birthday, tells her events he has seen in the news, and mentions some stories from his personal life. 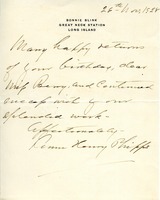 Phipps sends happy birthday wishes. 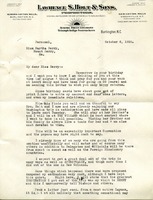 On stationery from Bonnie Blink, home of entrepreneur and philanthropist Henry Phipps, Jr. and his wife Anne Shaffer Phipps.